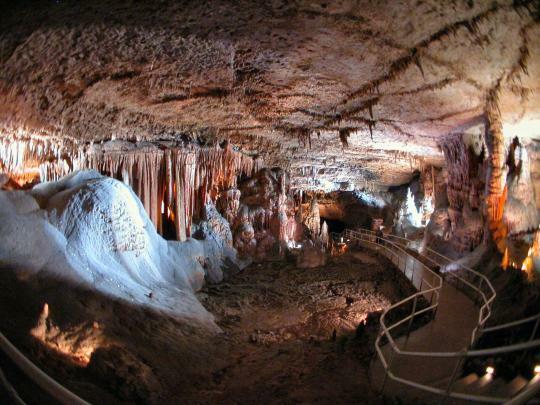 Blanchard Springs Caverns were described as "the cave find of the century" when the huge, upper level was discovered in 1963. The multi-million dollar complex was 10 years under development. Visitor tours are offered daily with the exception of selected national holidays and some weekdays in the winter. Reservations are recommended during heavy-use periods of summer and fall. For current information and reservations call: 870-757-2211.